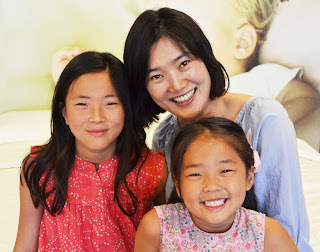 In part 2 of our series where we talk to amazing parents that are making non-toxic living easier for themselves as well as the rest of us, Non-Toxic Munchkin had the opportunity to speak to Camilla Kim, Owner and CEO of Three Happy Coconuts; a certified organic collection of mattresses, pillow toppers and pillows. Growing up in South Korea, Camilla was inspired when her father founded the country’s first all-natural mattress company; Palmpring. 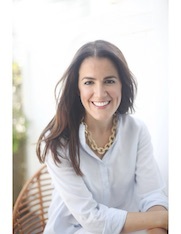 Nineteen years later, married, with two little girls, and living in Los Angeles, Camilla was looking for non-toxic mattresses for her daughters and saw a need for more variety and accessibility in the non-toxic sleeping market, so this mom decided to launch Three Happy Coconuts. What makes Three Happy Coconut’s mattresses a non-toxic alternative to a standard mattress and a great place to buy your little munchkins crib mattress? They do not use any synthetic materials: all of their products use certified organic materials inside and out - so there are no worries regarding toxicity or the possibility of metal springs emitting electromagnetic fields. Additionally, the materials used are all hypo-allergenic so mold, bacteria, germs and dust mites don’t settle in. The main reason to worry about conventional crib mattresses are the flame retardants that are commonly sprayed on all polyurethane foam products to meet national flame standards (and many crib mattresses are made of polyurethane foam). These flame retardants have been associated with a host of health concerns including lower birth weight, reduced IQ (similar to lead poisoning), hyperactivity, lost coordination, reduced fertility, birth defects, hormonal changes, and cancer. 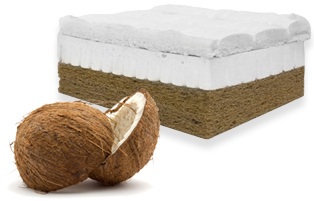 The mattresses that Camilla makes at Three Happy Coconuts are made of 100% organic coconut fiber and pure organic latex, and are covered in organic cotton with a layer of wool that acts as a non-toxic fire retardant. No chemicals needed so so your kiddos and you can sleep worry and toxic chemical free at night. Non-Toxic Munchkin (NTM): What does non-toxic living mean to you? Camilla Kim (CK): It means being as chemical free as possible, while not compromising my lifestyle. NTM: Has this definition changed for you from before becoming a mother to after? If so, how? CK: Yes. After having my daughters, I started looking harder for great quality products and becoming more conscious about the products I buy. I wanted them to grow up in the best possible environment. NTM: What are your top 3 non-toxic living hacks for parents ? Invest in chemical free products. Make things yourself as much as possible, especially quality organic food. Every free chance you get, surround yourself in nature. 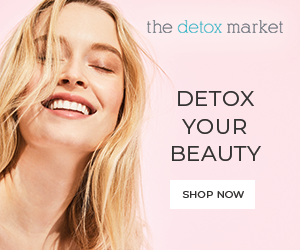 NTM: Why did you decide to launch an organic mattress line? CK: I started Three Happy Coconuts because I wanted my daughters to be safe while sleeping and not being exposed to toxic and harsh chemicals. Thanks to Camilla for taking the time to answer our questions, and creating a non-toxic mattress alternative that parents can choose and know, with certainty, they are not exposing their little munchkins to toxic chemicals. If you are interested in learning more about the non-toxic crib mattress which retails for $599 (or any other mattress in their line) visit their website or, if you are in the Los Angeles area, visit the Three Happy Coconuts/Palmpring showroom located at 3006 Wilshire Blvd, Los Angeles, 90010.